Aintree racecourse opened in 1829 and the first official running of the Grand National came a decade later, with flat horse racing taking place in this corner of Merseyside for many years before. Originally held as a Cross Country race – the forerunner of the steeplechases that have become a staple of the National Hunt calendar – the Grand National course was always designed to be unique. Unofficial and early recognised renewals saw horses presented with leaps over brooks, ditches, gates and hedges marked by flags atop posts and running rails temporarily erected throughout the countryside in and around Aintree. Looking back, the ingenuity of the Grand National founders and organisers, who include former landowner Lord Sefton and generations of the Topham family, was quite remarkable. They also had a stroke of luck when a gap in the National Hunt schedule appeared after the Great St Alban’s Chase wasn’t renewed after 1838. 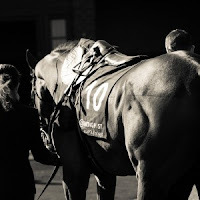 That helped to increase both the profile of the Grand National and Aintree racecourse as a jump horse racing venue in general, thrusting their big race into the limelight. As its popularity soared, the Cross Country roots were slowly abandoned in favour of the spruce-covered fences we now see horses take on every April. The Grand National course today is officially four miles, two furlongs and 78 yards after being remeasured by the British Horseracing Authority (BHA) in 2015. 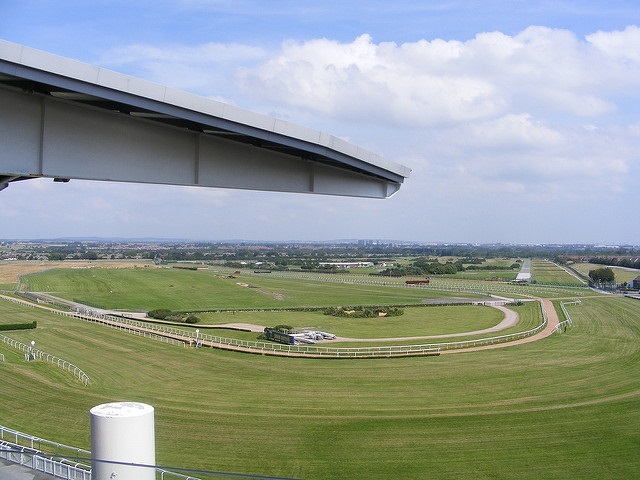 Around two circuits, there are 16 different fences – 14 of which are jumped twice. Both of the two that are only taken once lie in front of Aintree racecourse’s main stand, The Chair and The Water Jump, at the end of the first circuit as fence numbers 15 and 16 respectively. As obstacles, they couldn’t be more different. There’s a 6ft ditch to clear before the 5ft 2in fence that is The Chair. Ground on the landing side is actually raised a few inches compared to the take-off side. It was here during early renewals of the Grand National that the distance judge sat and recorded the finishing order, so you can see where the name comes from. Jumps like this make having a bet on Grand National winners all the more difficult as The Chair is just one of many tricky obstacles on the course, hence the 1000/1 odds on all horses finishing the race. The Canal Turn, where horses must either clear this fence at an angle or face a near 90-degree turn upon landing, is another formidable sight for horse and jockey. Back when it was a Cross Country race, horses who couldn’t make the turn back towards the stands would end up in the Leeds to Liverpool Canal! A ditch preceding this jump was removed following a pile-up during the 1928 race. 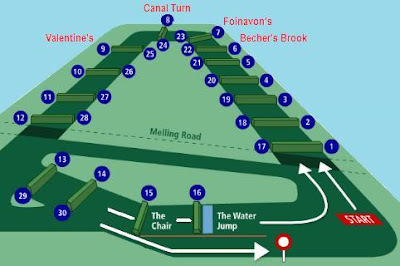 Other famous Grand National fences, Becher’s Brook and Foinavon, precede The Canal Turn which is taken as the eighth and 24th obstacle on the way round the course. Becher’s is named after an amateur rider who sheltered in the brook after falling from his horse. That fence is the opposite of The Chair in that the landing side is below the level of take-off. It certainly catches horses out and jockeys must be brave by sitting back once over the 4ft 10in fence. Foinavon is named after the unlikely 1967 Grand National winner, who was so far behind the field that a melee at this standard jump, which is the seventh and 23rd on the course, didn’t inconvenience him. 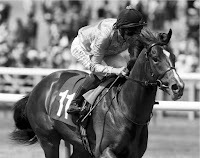 His jockey simply steered him wide of the carnage and by the time any other riders remounted, Foinavon was uncatchable! That just leaves Valentine’s Brook, which follows The Canal Turn as fence number nine and 25. This obstacle is 5ft high and 3ft 3in wide but with a much broader stream than Becher’s on the landing side. This famous Aintree obstacle takes its name from the 1840 Grand National where it is claimed a horse called Valentine jumped in, hind legs first!